Throughout our Annual Report, you will find personal stories of impact illustrating how we use financial innovation and programmatic development to unlock capital in support of social and racial justice efforts taking place across the country. In Washington, D.C., you will meet Diana, a mother of three, who is furthering her own education at the same school as her youngest child thanks to Briya Public Charter School’s innovative “two generation” model. In addition, access to health care is only steps away at Mary’s Center, which co-locates space to serve the students, their families, and the community at large. Across the country in Washington State, you will meet 75-year-old Rae, who joined a home care cooperative and now owns a stake in her future. Cooperatives like the one that Rae joined believe in democratic member control and member economic participation. As a result, Rae is now earning a living wage while also having a management share in the company. We’ll also take you along with the doctors at Ole Health who are bringing their services to their local community to ensure equitable access to care for those who do not or cannot visit their health centers in Northern California. And in Detroit, we will introduce you to Alisha, Chase, and Damian, three inspiring individuals who are part of a larger group participating in our first Equitable Development Initiative. 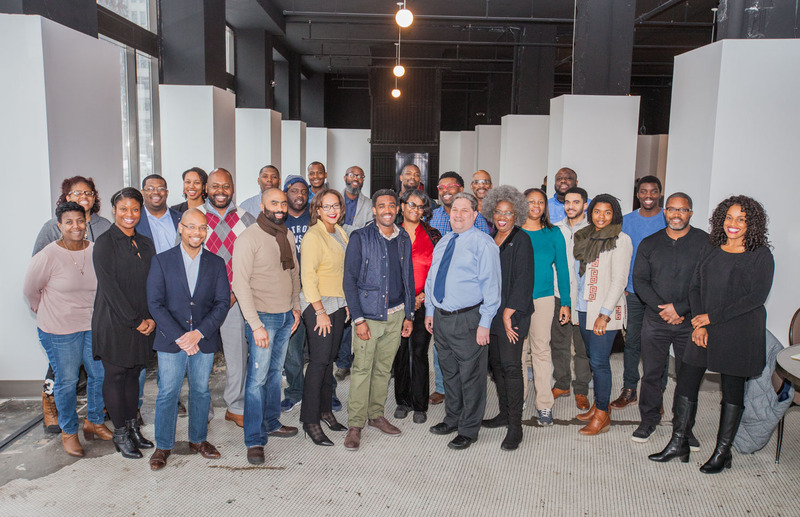 Through training and mentorship, we are working with minority real estate developers in Detroit to help change the face of the development community and empower local developers to bring their unique perspectives while shaping the resurgence of the city. Surpassing $2.5 billion in community investments since our inception spurred by our 2017 volume that topped $220 million across 10 different states and the District of Columbia – the highest volume in our organization’s history. Our investments created health care access for 200,000 patients, created 15,000 school seats, and supported healthy food access for more than 45,000 customers. Launching our $100 million S&P-rated Notes offering – the first offered by a Community Development Financial Institution on a continuous basis. Our Notes gave both retail and institutional investors the opportunity to invest in alignment with their values. Within just three months after our launch in the fall, we issued more than $44 million in Notes to support our mission. Creating new capital-raising opportunities with Annaly Capital Management, a national leader in the Real Estate Investment Trust sector on an exciting new joint venture. This $25 million effort represents a unique opportunity to leverage these resources to invest $75 million in deserving communities. We look forward to 2018 with great enthusiasm. We are well positioned to dive deep to further our impact, launch new social innovation programs, and create partnerships at community, regional, and national scales that empower communities and provide them with the resources they need to thrive. The progress we have made would not have been possible without the support of our investors, funders, and our partners. We stand taller knowing that you are with us and we thank you for your unwavering support.